The Department of Education and Psychology (girls section) organized a training workshop titled: “Motivation to Achieve Success” on Sunday 22 Rajab 1439AH. It was delivered by the Head of the Education and Psychology Department, Dr. Iman Al-Harithy, in cooperation with the graduates of Educational Preparation (sciences). 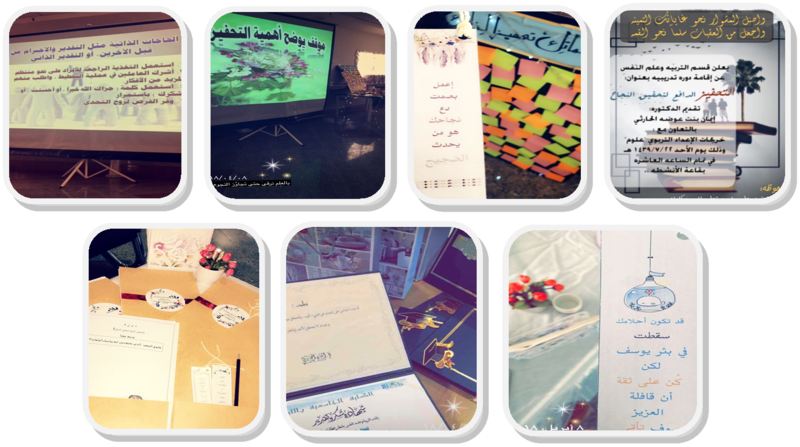 The workshop aims to motivate students and encourage them towards more success. It also aims to encourage the spirit of enthusiasm in them and not giving in to mistakes and negative words, as well as help them set goals for their practical lives. A presentation on some of the successful figures was made, and the workshop included a group of activities to make the students work in groups. It was concluded with providing attendees with thanks certificates to thank them for their efforts in the workshop.